What should you look for in a screen protector for your new Samsung Galaxy S6 and S6 Edge? Well, it is obvious that you don’t want any damage such as scratched, shattered screen, and dirty screen with fingerprints and oil. But, you should also look for those with easy installation so you can do it yourself without wasting money hiring someone to do it for you. You also should be aware that some screen protectors may reduce your touchscreen sensitivity as well as create some yellow or rainbow effect that downgrades your screen clarity. 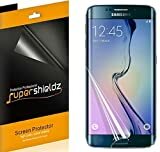 The products review below features most of those mentioned, so you can have an informed decision when buying a new screen protector. Find your most precise and high quality screen protector for your beloved phone with Flexion’s Guardian Series for the Samsung Galaxy S6! 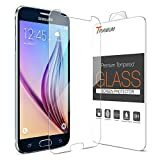 The design of the screen protector is made to perfectly fit the screen perfectly (please note that it only covers the flat part of the screen and not the rounded edges). It protects everything that are harmful to your device such as anti-shatter, anti-fingerprint, and scratch resistant. The sensitivity of the touchscreen is still there with 99.9% responsiveness to the finger. This is the world’s thinnest tempered glass screen protector for Samsung Galaxy S6 with over 0.2 millimeter thickness. It is designed to fit perfectly with the round edges of the phone, so you don’t need to worry about having a floating feeling of your screen protector over your phone’s screen. The 99.9% HD coating provides the screen protector the ability to repel water, sweat, and oil residue from your fingers. The 9H technology also prevents the surface from screen damage during drops. Ionic screen protector features a polished finish that keeps your phone’s edges smooth and beautiful throughout the year. It is 0.3 millimeter thick and prevents from screen shatter when dropping and also scratching. 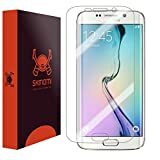 It is a bit thicker than the usual film material since it is a glass screen protector and since it is a glass screen protector, it is super clear and responsive that you don’t even feel that the screen protector is there. 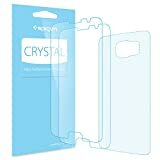 The package includes two front screen protectors and one for the back. The hardness is conformed to 3H quality standard and the PET (polyethylene terephthalate) allows you to see no rainbow effect on your screen. It is carefully made to leave holes for camera, sensors and earpiece. The installation is easy and painless and it has no residue that gives you bubbles below the screen protector. You just need to clean the screen before applying. You will get 3 screen protectors at a reasonable price with iSmooth and you will get lifetime replacement warranty. iSmooth is known for the high quality phone accessories and you won’t go wrong with this screen protector. The installation is easy and bubble-free. Also, the screen protector is really tough and last very long before you have to replace a new one. 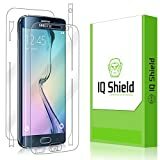 This package of IQ Shield LIQuidSkin kit includes the screen protector, installation tray, squeegee, lint-free cloth, and instruction. It’s everything you need to do-it-yourself installation because they have the lint-free clothes for removing dust that causes bubbles and squeegee to put pressure for a smooth operation. The IQ Shield LiQuidSkin are not like others using PET film but instead it use a special revolutionary process that it gives you touchscreen accuracy and non-yellowing effect. 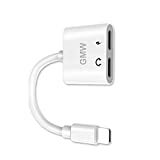 Your screen looks crystal clear with this product. 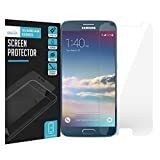 This screen protector kit does not come only with the front cover but also the back that they can cover the complete faces of your phone. The screen protector is tough, self-healing, non-yellowing, and transparent, and it fits edge to edge leaving you no dissatisfaction. It also have lifetime replacement warranty. Skinomi TechSkin uses laser cut for precise edge that gives your phone the maximum coverage and provides flexibility that even can even adapt to the curved devices. It also uses liquid solution for the screen protector so that you can adjust the position while you install it on the device. It creates less error and stress free. ArmorSuit MilitaryShield is designed to be ultra-tough that can handle any situation without damaging your screen. It is military grade material that comes with lifetime replacement warranty and is made in the USA. It is one of the highest quality products and it is highly recommended for everyone especially those who travel a lot and do some vigorous activities. It is equipped with anti-fingerprints technology which resists fingerprints and removes glare. It is made from Japanese PET film known for one of the highest and most innovative materials for a screen protector. It is pre-cut to match your exact screen perfectly. This would allow full accessible to all the buttons and ports of the phones.